In the large cities along the Shinkansen route, you will find almost every type of food you long for. However, while there are abundant places to eat lunch in tourist destinations outside the large cities, most tourists eat at their accommodation at night, so you might have trouble finding restaurants in the evenings. This situation becomes even more complicated on the smaller islands that are off the well-beaten tourist track. Here, you will find small-scale, cheap Japanese restaurants that can only be recognized as such by the Noren at the door, a small curtain with the name of the restaurant. Convenience stores, available at every corner in the cities, don't exist or close early. For each spot we introduce, we will give you some useful pointers as to the food available. 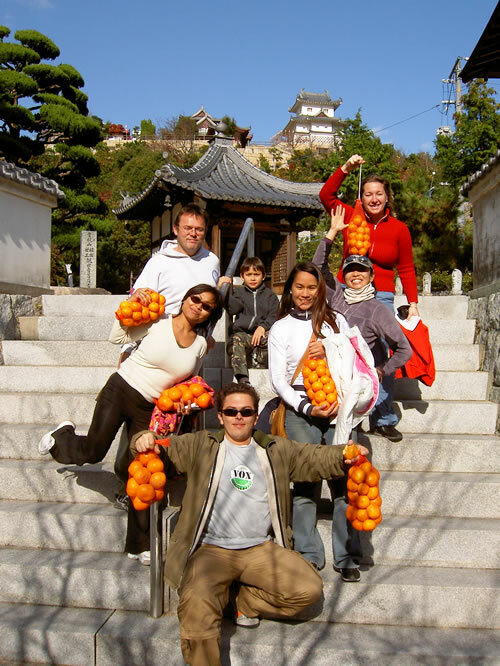 If you like seafood in all forms, the Seto Inland Sea will certainly not disappoint. There are other specialities like Udon noodles on Shikoku. 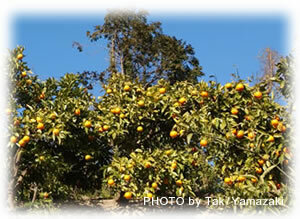 In winter, all kind of mandarin oranges can be enjoyed.